Get mad air and pull rad spins to unlock new gear and rock the competition. 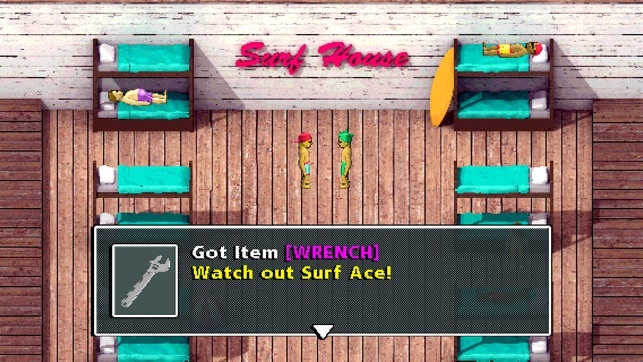 TAKE DOWN THE SURF ACE! Play story mode and work your way up through the ranks. Do you have what it takes to beat him? Play sunset mode and collect as many coins as you can to prevent the sun from going down! 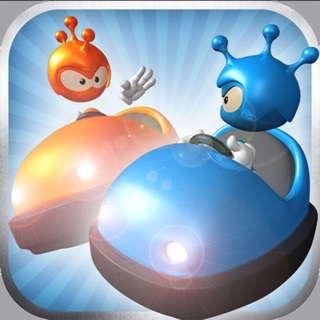 Challenge your friends to a head to head battle on the same device. 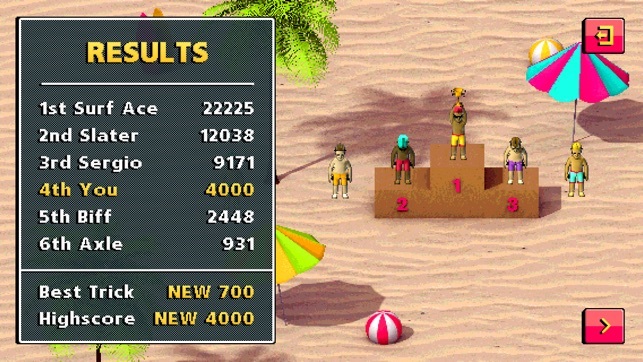 Challenge other surfers to a game of rock paper scissors to settle things once and for all! New Sunset Race Mode! Keep the sun from going down by collecting as many sun coins as possible! 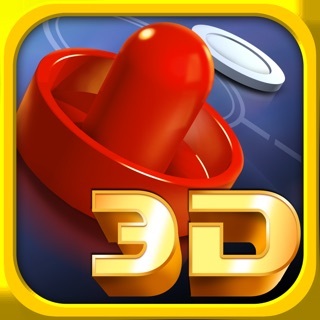 Do tons of sweet tricks to earn a coin frenzy and surf as long as you can! I original downloaded this for my love of surfing. 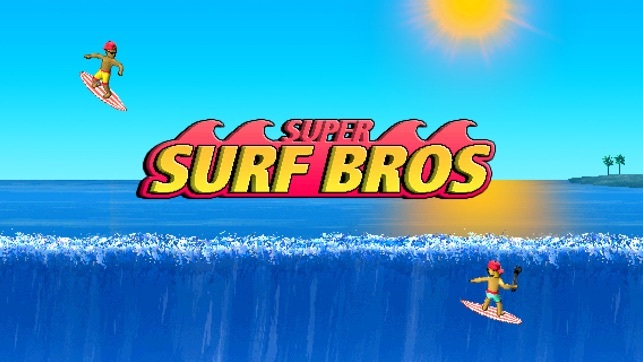 Thinking this would be another low quality surfing mobile game. It turns out, I was wrong! 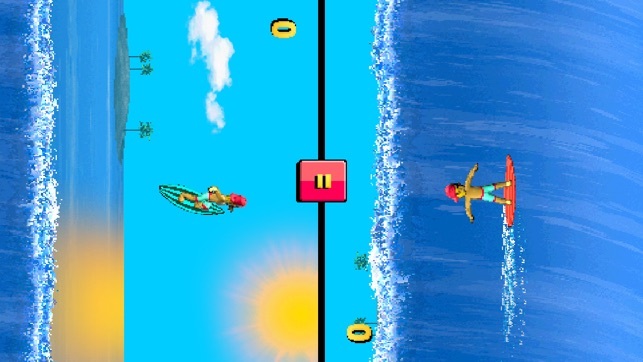 The story is wonderful, the game is replayable, the controls are easy, this game will appeal to any fan of surfing. Whether they just learned, or if they knew how to surf for 70 years! 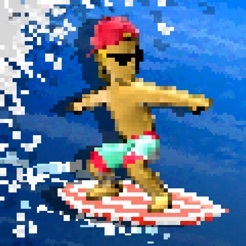 I find myself coming back to this every time I think of surfing games. Well played! 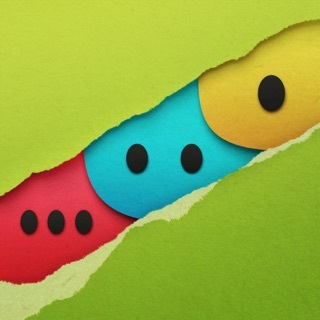 This game is so awesome and totally rad! I've played the story mode many many many times in the game and it was fun, funny and awesome! But...the hardest achievement in the game is take down 8 seagulls. Overall, the game is so well made and gnarly! 10/10! 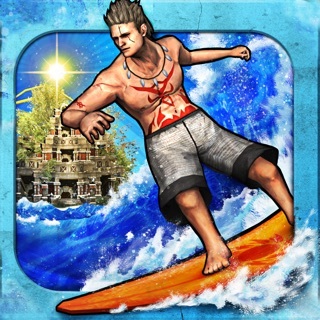 I really really really really hope that all of us surfing fans get a sequel to this awesome and totally radical game! SURF'S UP DUDE!!! 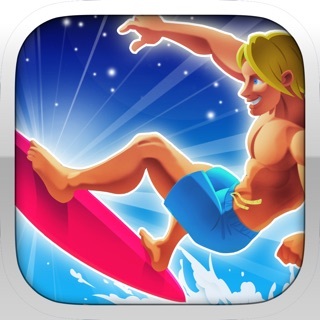 🏄🏻🤘🏻To RAC7 Games, can you update the game for iOS 11?